B&H has the Really Right Stuff TVC-34L Versa Series 3 Carbon Fiber Tripod in stock with free expedited shipping. The 1 Post Processing Adjustment Needed for Killer Sunrise/Sunset Images and Happy New Year! On this day in Shenandoah National Park, white-tailed deer and more specifically, fawns, were my primary target. 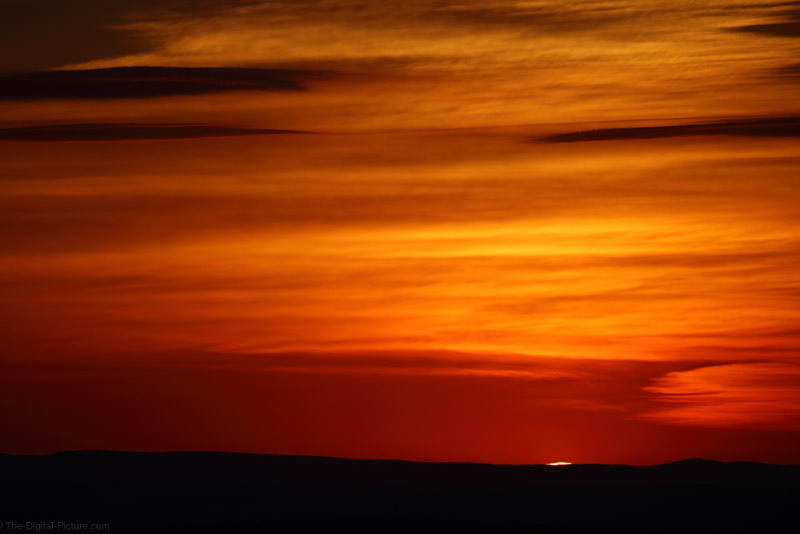 However, I knew that sunsets from the Big Meadows area were often beautiful and therefore, I coordinated my efforts to be in position to photograph the sky should it blow up in color. And on this evening, it did. I only had the Canon EF 200-400mm f/4L IS USM Lens with a EOS 5Ds R behind it and a Gitzo monopod under it. Fortunately, that ended up being an ideal setup. With the brilliantly colored sky being relatively small in scale, the telephoto focal lengths allowed me to get a frame full of color. I photographed this scene through and after sunset, but liked this image, with the last bit of sun still shining over the distant mountain, the best. With a great sky, interesting and colorful images can be made with little or no content other than just the sky in the frame. In this situation, I liked how the mountain in shadow gave the image a base in addition to adding some needed framing below setting sun. The colorful sky found just before, during and just after sunrises and sunsets help to create some of the best landscape images possible. But, there is one post processing adjustment that can give these images some extra "pop" and that adjustment is saturation. Find the saturation slider in your image processing tool, slide it to the right and watch your image come alive. But, don't move it too far to the right. Use caution in the amount of saturation you add as this adjustment can easily be (and often is) overdone. Add the desired life to the image without creating a garish overdone look that screams "I ADDED TOO MUCH SATURATION!" I like to come back to a processed image the next day to see if I still agree with my original decision. Sometimes, I change my mind months later. The sky was so amazingly colored on this evening that I only adjusted the saturation setting for this image to "1" (in Canon's Digital Photo Pro software). It seemed fitting to post a sunset image on New Year's Eve, the sunset of another year. My family and I wish you and yours a Happy New Year and hope that your 2017 is a blessed one! Permalink: The 1 Post Processing Adjustment Needed for Killer Sunrise/Sunset Images and Happy New Year! Nikon Japan has released a product advisory warning that images may be corrupted when using Nikon Trasnfer 2 with View NX-i. See below for the Google translated version of the Nikon announcement. It turned out that image data may be corrupted when transferring images using Nikon Transfer 2 on macOS Sierra version 10.12.2 in our software "View NX - i". ViewNX-i Ver.1.2.4 which was released on November 22, 2016 supported macOS Sierra version 10.12, but since it was not designed for macOS Sierra version 10.12.1 or later, we are currently working on compatibility. For this reason, until compatibility with macOS Sierra version 10.12.1 or later can be confirmed, and please do not use Nikon Transfer 2 until an announcement from us. We are diligently working on a solution for this phenomenon and we will notify once a fix has been issued. We appreciate your continued patronage of Nikon products. Several years ago, Roger Cicala of LensRentals made a few blog posts where he intimated that buying a UV/protective filter was not necessarily a wise investment in a lot of situations. 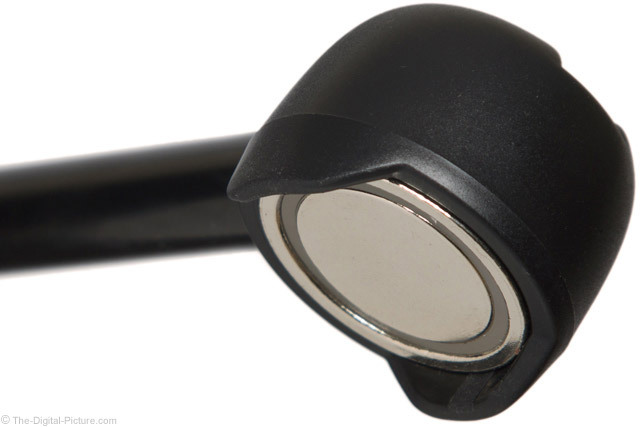 At the time, lens front elements were relatively inexpensive to replace and high quality filters were costly. However, many of the higher quality lenses produced over the past 5 years have featured more complex front elements, with the result of Roger feeling compelled to revisit his cost-benefit analysis of UV filter use. See Roger's recent LensRentals Blog post to see if purchasing a UV filter is a wise decision for you and your lens(es). B&H carries UV and protective filters. 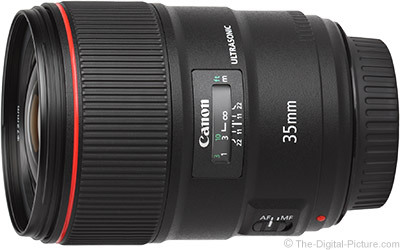 The Canon Store has the Refurbished Canon EF 35mm f/1.4L II USM Lens in stock. 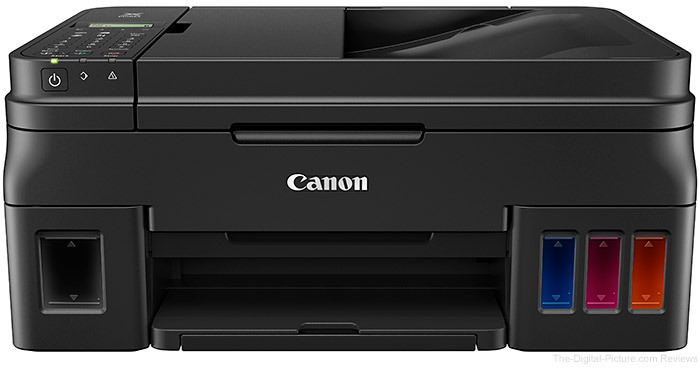 The Canon Store has the Canon PIXMA G-series MegaTank Printers in stock. @TastyAsHeck, she has made a big splash on the platform with her colourful and enticing food photography. See the entire article on the IAMNIKON Blog. T-Stop vs F-Stop Lenses for Video: Which Should I Pick? Newcomers are easily confused between F-stop and T-stop markings on lenses. In this video I explain when each is used for apertures, and why one is used in photography while the other is predominant in cinematography. Permalink: T-Stop vs F-Stop Lenses for Video: Which Should I Pick? According to the Egami Blog, Canon has filed a patent for a 135mm f/2 optical design containing two apodization filters. Tufted Titmouse in a Basket, Isolating with 85mm f/1.4 and Merry Christmas!!! An 85mm lens is usually not my first choice for bird photography, but ... I can be an opportunist. When this shot presented itself, I saw the opportunity for demonstrating this lens' minimum focus distance combined with the look of the 85mm focal length and f/1.4 aperture. The shallow depth of field makes the tufted titmouse stand out in an image containing many potentially distracting details. Aligning the edge of the bird within the gold ribbon also aids in isolating the subject and the Christmas-decorated basket "ties" the image into the season. My family and I wish you a warm, joy-filled and very merry Christmas! We consider you part of our family and hope that your Christmas is filled with great meaning, great memories and, as always, great images And, may all of your camera cases be overflowing. 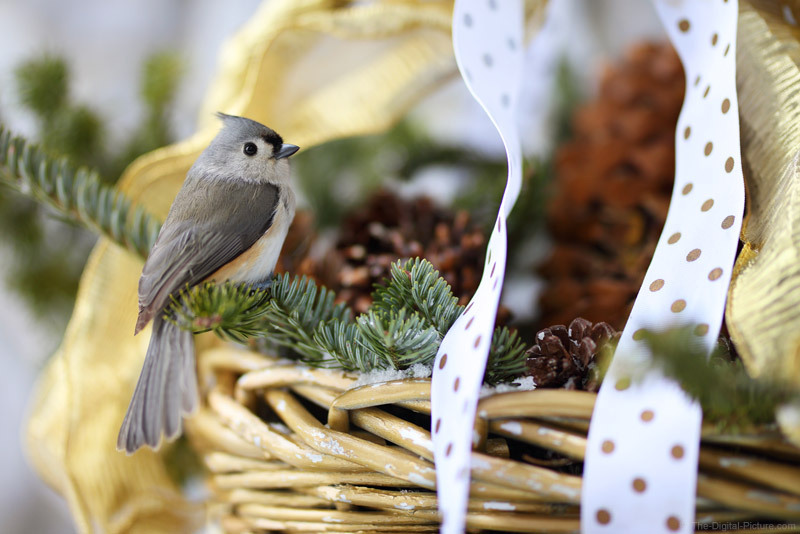 Permalink: Tufted Titmouse in a Basket, Isolating with 85mm f/1.4 and Merry Christmas!!! 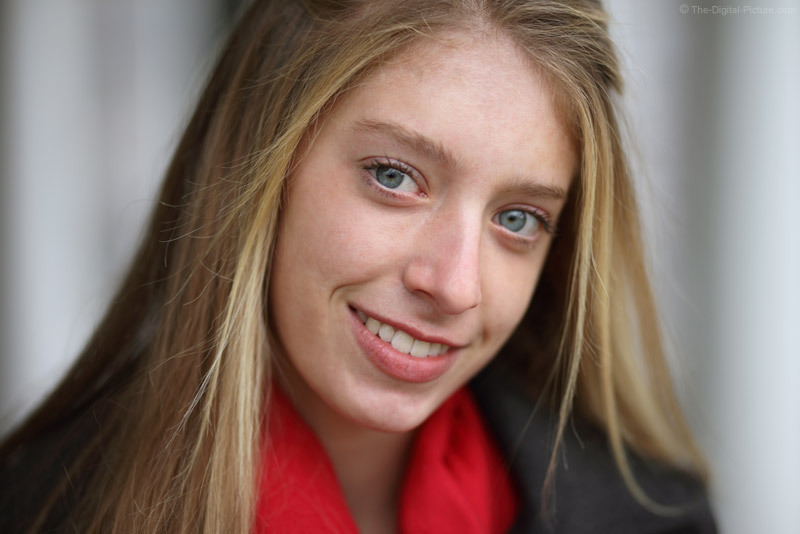 What would a Sigma 85mm f/1.4 Art Lens review be without a sample portrait? The problem was that the schedules of my most-potential subjects were crazy and the weather had been mostly not very nice since the lens arrived. When I saw my best opportunity, time was short, it was raining lightly and with the associated heavy cloud cover, outdoor lighting from the massive overhead softbox was very flat. Fortunately, the giant softbox makes lighting easy (and the f/1.4 aperture means that the low light levels were a non-issue). All that was needed was a form of shade to give some direction/shape to the light. I simply had my subject stand at the edge of a porch roof. The white columns and white window trim background was able to be melted away with the aid of the shallow depth of field this lens can produce. The diffusely-blurred and neutrally-colored background does not compete for attention with the primary subject and the red scarf adds just a touch of Christmas color. When capturing portraits with a very shallow depth of field, the closer eye minimally needs to be in focus. 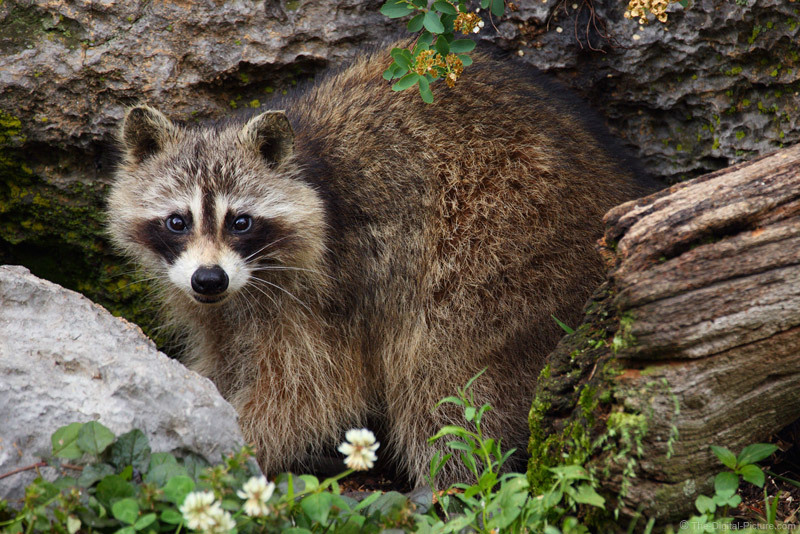 If the subject is looking directly at the camera, both eyes can be in focus, but if there is any other head angle, a decision needs to be made and the closer eye should get priority. At this lens' minimum focus distance with the maximum aperture in use, even the eyelashes will not be sharp when ideal eye focus is achieved. Pushing the plane of sharp focus to the closer iris or very slightly farther away will give the best look to the image (shifting focus slightly closer makes the eyelashes sharper, but the more-distant eye becomes even more blurred). The camera height for this portrait was slightly higher than the subject's head angle. This camera angle keeps the subject's mouth (mostly) in focus (another desirable goal) and usually provides an ideal portrait look. Having the subject shift their head toward the camera slightly helps tighten the skin around the jaw line and un-squishes the neck area. At least for female subjects, I often ask for a slight head tip as also seen here. The Sigma 85mm f/1.4 Art lens is an awesome choice for portraiture. It makes a great look easy to capture. Hopefully by now you've seen the incredible imagery created when Mick Fanning went to Norway and surfed beneath the spectacular Northern Lights. The shoot took place in Lofoten, a far flung speck of a town on Norway's smashed plate of a coastlne. The surf is consistent, the aurora borealis is anything but. Fanning teamed up with Norwegian photographers Emil Sollie and Mats Grimsæth as they sought to capture that one elusive moment of surfer and natural phenomenon squaring off, and no one ever said that was going to be easy. See the entire article on the Redbull website.